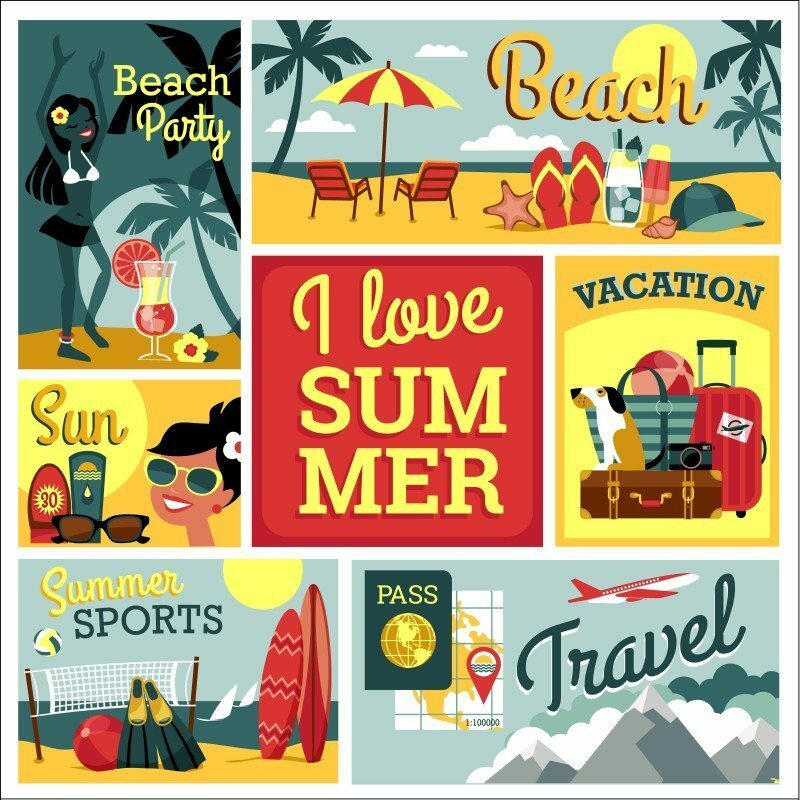 After a hot and sweaty week in the office, wishing we were on our summer holidays, we thought we would share some of our favourite summer marketing campaigns with you. The Stop and Stare team are a diverse bunch with strong views on what they like to see in an advert. However, we’re all agreed that the campaigns below deserve their place in our top picks. What do you think? If you remember the controversy over Protein World’s ‘beach body ready’ advertisement on London Underground, back in April, you may also have seen Carlsberg’s response. Apart from the usual dry humour we come to expect from Carlsberg, what I particularly like about this campaign is how quickly they were able to move on it. Generally, these types of campaigns take a long time. Getting sign off from all parties, first for the idea and then with artwork, can be a slow process when dealing with large brands. But in this case, Carlsberg’s ads were up running alongside Protein World’s within days of the protest kicking off, and before the Advertising Standards Authority banned the ‘beach body ready’ ad. Great work from agency Fold 7. Havaianas flip-flops ads evoke heat, fun and the party scenes of Brazilian culture, all which transport you – wearing your flip-flops – to Summertime! The colours and plasticine animation is fun on screen and looks great in magazines too. I particularly like the Brazilian cityscape at the end; and it’s just one of those ads that really puts you in the right mood for summer. My favourite campaign of the moment is Honda’s Keep Up ad. The ad instantly evokes feelings of excitement and achievement because you can keep up and keep going, pushing yourself further and making you want to try out the unknown. Creating this mood shift among audiences works in marketing as they will now associate Honda with excitement and have a positive perception about the brand. This is not really a summer campaign but something that demonstrates how local organisations can use digital marketing even when their business relies on more traditional formats. In this example The Farnham Herald, available in print and online, published a series of images in their What’s On section that came alive when viewed through your mobile. It’s great to see this level of innovation from a local paper, and demonstrates that apps and other digital marketing platforms are not just for large brands and companies. I love Match.com’s new advert campaign as it uses examples of ‘imperfections’ that most can relate to, in situations a majority of people have been in with the ending everyone hopes for (a happy ending)! I think it was clever of match.com to emphasise the fact that it is the imperfections that make everyone individual and stand out from others in the dating game especially in a society that is so hung up about how they are perceived. Also a fan of the strapline which accompanies the advert #loveyourimperfections – strong and memorable! So what about you? Share with us your current favourites in print, online, TV or anywhere you’ve come across them!